Prof. Aviad Hacohen regrets that a man who was a minister and physician in Israel descended into the depths of treason. Professor Aviad Hacohen, Dean of the Sha’arei Mishpat Academic College, told Arutz Sheva that the saga of former Minister Gonen Segev is a tragic story about a man who "descended from great heights to the deepest depths." "He had also spent time in prison for previous offenses. Those were drug offenses, one of the most morally humiliating offenses when you are not only a sinner, but cause others to sin. And certainly when you betray the values ​​of the state, and it is not for nothing that these offenses are at the highest level on the scale of criminal offenses. To my despair, he has reached a new moral low, and it is hard to see how he can possibly go even lower. It is an unfortunate waste, but the reality seems to much to imagine. 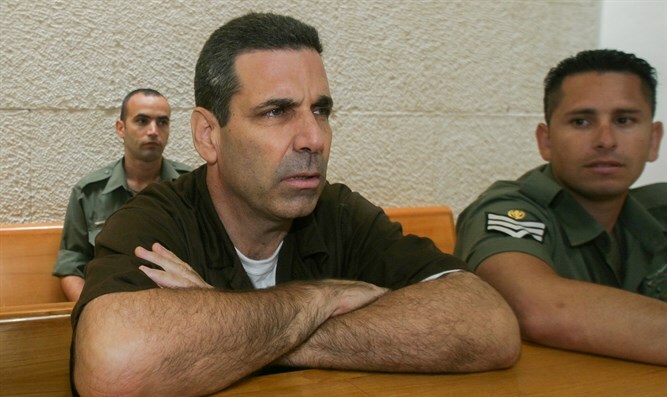 Professor Hacohen believes that the prolonged detention of Gonen Segev testifies to the seriousness of his actions: "We are still in the investigation stage, and in investigations of this sort, certainly in such matters, a great deal is kept secret. But from what we know, this is not a one-time event, but rather a conspiracy that has been going on for so many years, and if that's what I'm talking about, I guess there's a lot more to it than we know. I believe that this whole affair would not have exploded and would have been published as it would have been if there had not been anything to it." According to him, the claim that former minister Segev had updated a senior official in the defense establishment about his connection with the Iranians should first be examined on a factual basis. "The fact that he says this does not mean that this is true, but even if there was such a thing, it still does not allow a person to harm the security of the state, assuming such things took place. I do not believe they would have arrested a man, certainly not for such a long time, if there was no substance to the allegations. The court would not approve it." He said that the prevention of the suspect from meeting with his attorney is another matter that testifies to the scope of the case. When it comes to the basic right to meet with an attorney, the prohibition to do so and the prevention to do so is an exception, and this is done only in extreme cases where meeting with an attorney can disrupt the course of the investigation or interfere with the law enforcement agencies' ability to do their job." "It is important to emphasize that the act of preventing a meeting with an attorney is always under judicial review. This is not an administrative action that the police or Shin Bet or other parties decide on. it always goes through judicial review and if the court was not convinced that there is justification for this prevention, it would not have approved it. And therefore here, too, it seems that at least that the evidence indicates that first there is a basis for charges and suspicions and for the denial of the right to meet with an attorney."